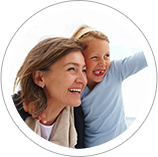 Speech and pure tone audiometry are the initial procedures of an audiological evaluation; results determine other procedures required for a complete diagnostic evaluation. Tympanometry is used to determine the condition or integrity and mobility of the middle ear—the tympanum (eardrum) and ossicles (the tiniest bones in the human body)—by creating variations of air pressure in the external ear canal. Otoacoustic emission (OAE) testing measures cochlear outer hair cell integrity and is used for difficult-to-test patients such as newborn infants, young children and developmentally-delayed individuals. Tinnitus is described as head noises such as ringing, crickets, humming or buzzing in the ear and can range in severity. A tinnitus evaluation can help identify how much tinnitus interferes with your daily life and if there are treatment options that can benefit you. Occupational Safety & Health Administration (OSHA) standards require a hearing conservation program if a company's employees are exposed to an average of 85 decibels or more of noise during an 8-hour workday. Baseline and annual audiometric testing is provided to determine an employee's standard threshold shift (STS). Results and recommendations are submitted to employers within the week. 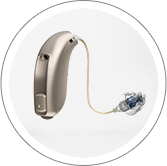 Audiological Services offers a wide variety of hearing instruments with the latest technology from leading manufacturers. Devices are recommended for individuals based on the type and severity of their hearing loss, lifestyle, listening needs, style and budget. All patients are taught to clean, operate, change batteries and take care of their new devices. A kit is provided with an instruction booklet, cleaning tools, a box for instrument safekeeping upon removal from ears and appropriate supplies. Counseling patients to function more effectively in varied listening environments is included. One walk-in hour each day (Monday, Tuesday, Thursday from 2-3 pm and Wednesday, Friday from 10-11am) is dedicated to clean and check hearing instruments without an appointment. All patients are encouraged to schedule a quarterly "deep" cleaning to ensure optimum performance of the hearing devices. Custom earmolds for hearing instruments, iPods, hands-free cell phones and ear monitors as well as custom swim molds in a variety of colors are available. Custom hearing protection for those who work or play in loud or excessive noise or music, industrial and hunter's hearing protection devices, and musicians' in-ear monitors are recommended and available. 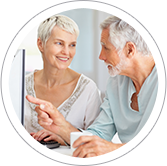 When hearing aids are not enough or inappropriate, Bluetooth connectivity, FM classroom amplification, amplified telephones with visual display, television amplifiers, vibrating alarm clocks, sound alert devices and more are available.